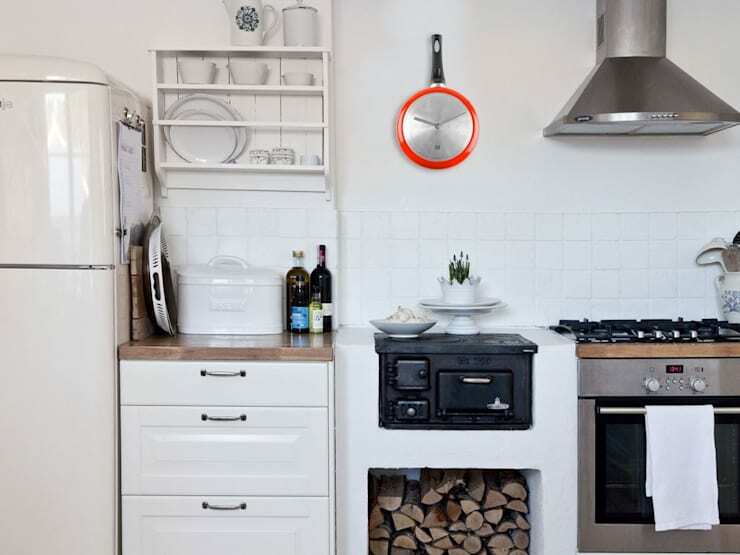 Ensure that you never forget breakfast time, lunchtime or dinnertime ever again with this delightfully quirky Cooking Time Wall Clock.This sizzling hot red kitchen accessory brings bags of fun and character to your interior, and will never fail to raise a smile from all those who see it. This red funky kitchen clock has a body shaped like a sauce pan, with brushed stainless steel base, bright red curved surround, and moulded plastic handle to boot. Be sure to hang it in pride of place, but unless you enjoy clock components in your pasta don't ever try to use it as an actual sauce pan!